Have fun, make money and help others? Why Now is the Best TIME to Join Valentus? 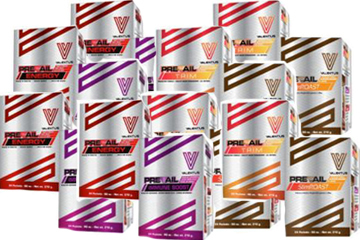 Valentus products are 100% natural, 100% effective, and 100% guarenteed. Try any of the formulas and you know immediately that they taste good and work - whether it's to lose weight, increase energy and focus, or build a stronger immune system. Timing is everything and now is the time as Valentus is just beginning to enter the momentum stage as more people hear about the product and experience results. This is THE most exciting time to be part of any Network Marketing Company. Starting a home-based business with Valentus is easy and requires no inventory, overhead costs or complicated contracts. You are in complete control of your time and have the opportunity to build an amazing future in an amazing company and team. Even though you're starting your own business, you're never alone with Valentus. In addition to simple, easy-to-use tools, you also become part of an amazing team focused on helping each other every step of the way. At Valentus, we're family. Nothing is more satisfying or fun than helping others reach for the stars and achieve success! This includes sharing in all the great health and weight loss stories along with helping others start a new business and earn an impressive living. Contact Us to set up a short session to learn more about joining our team to start your own home based business and begin earning extra income. âOne of the true characteristics of leadership is leading by example - not just telling your team what to do and how, but getting in the trenches and making it happen. Nobody does it with more passion, commitment or enthusiasm than our Founder & CEO, Dave Jordan. 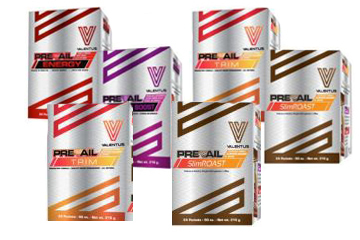 From flagship product, Prevail Energy to the super-antioxidant Immune Boost along with Trim and SlimROAST Coffee for weight management, the Prevail line of products by Valentus is second to none. âIn over my 20 years of Networking by far this is the most generous Compensation Plan I have ever worked with! Thank you Dave Jordan our CEO/Founder for being the kind of generous man that you are. Personal highlights from Valentus leaders and speakers. Experience the great insights and energy of this amazing company and products at the first inaugural Leadership Summit with special guests: Joyce & Dave Jordan, CEO/Founder of Valentus Inc.
​​Enjoy Valentus products while building your own business in our fast growing company. ​​Use this option to test the waters and find out for yourself how delicious and effective SlimROAST really is. with your partner or a friend and share your journey and success together. ​​Use this option to get started on the '12in24' plan and lose a combination of 12 inches and/or pounds in just 24 days. Do I order as a Preferred Customer or Independant Representative? Disclaimer: This website is not intended to provide medical advice. Weight loss results may vary based on individual circumstances. It`s recommended to get your doctor's advice if you have any health issues or concerns before starting any new health or fitness program.